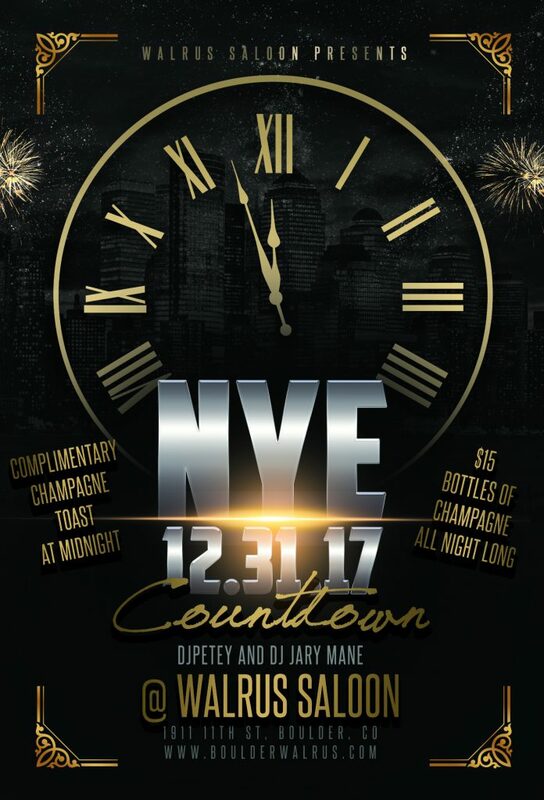 New Years Eve 2017 / 2018 | DJPetey.com!!! 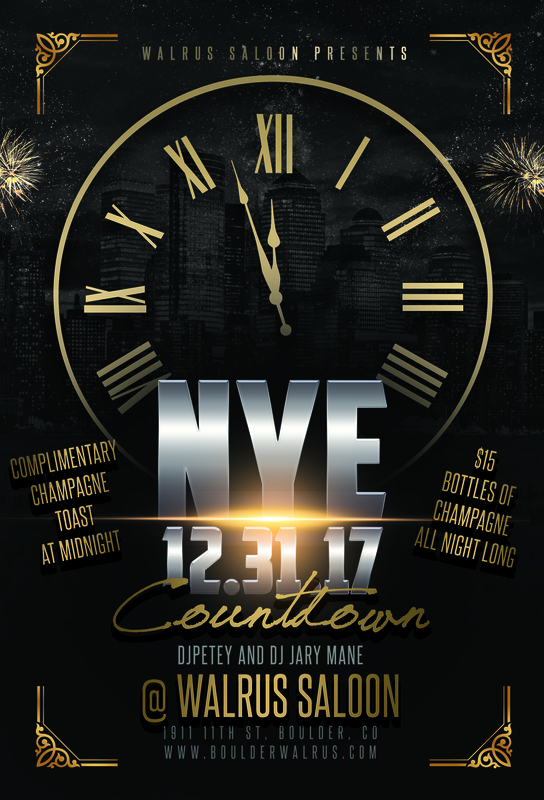 Its that time of year already… New Years Eve is less than 3 weeks away. This year, I will be continuing my Boulder tradition and hosting my NYE party at Walrus. Im also brining back DJ Jary Mane to work with me. If you havent been to one of my new years eve events, its a full, custom, one of a kind, audio / video set. 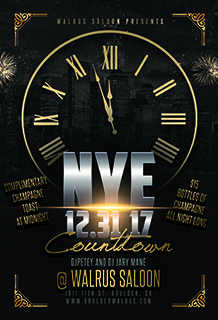 Walrus is giving EVERYONE a free champagne toast at midnight and $15 BOTTLES of champagne all night long. This WILL be the best party in town. If youre in Boulder this year, come ring in 2018 with us! Click “read more” below to check out the full flyer.